How many of you have heard someone say, including yourself: “I have a hard time saying no”? On the converse side, how many have heard people say: “I always try to say Yes”? 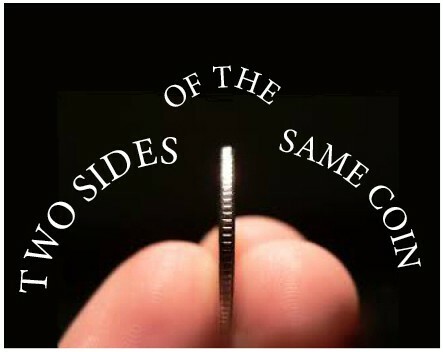 Yes and no are flip sides of the same coin. As a life coach, I often remind my clients that to live a more purpose-driven life, they have to consciously say ‘no’ to in order to fully commit to a new ‘yes’. Imagine life is like constantly preparing a many course meal. You have something marinating in the refrigerator, something baking in the oven, and 3-4 pots and pans on the stove. These courses are family, work, exercise/fitness, creative projects, home, recreation, friends/community. There could be many more. Each of these important areas require you to use both a recipe and your intuition. When, for example, I decided to increase my coaching practice (a bigger yes), I moved that pot to the front burner and turned the heat up, which meant I had to watch it more carefully. I had to move my health and wellness business to the back burner and turn the heat down. My impulse, as an Aquarian, is to turn the heat up in an area of my life without consciously turning the heat down somewhere else because my resources are both wonderful AND limited. We have to reallocate our time, passion, and enthusiasm regularly. If we don’t, the result of avoiding the ‘no’ behind every ‘yes’ leads to: BURNOUT. The stovetop is a perfect metaphor for what happens when I don’t flip my coin – burnt tortillas, burnt cast iron skillets, and lots of burnt popcorn. What do you say yes to out of learned habits that no longer, if ever, served you? What are you saying no to that could bring joy to you and therefore to everyone you touch?